Come Celebrate 6 Year Anniversary at Arch City Tavern! Join Us At Arch City Tavern As We Celebrate Our 6 Year Anniversary! It has been a wonderful 6 years, Columbus! 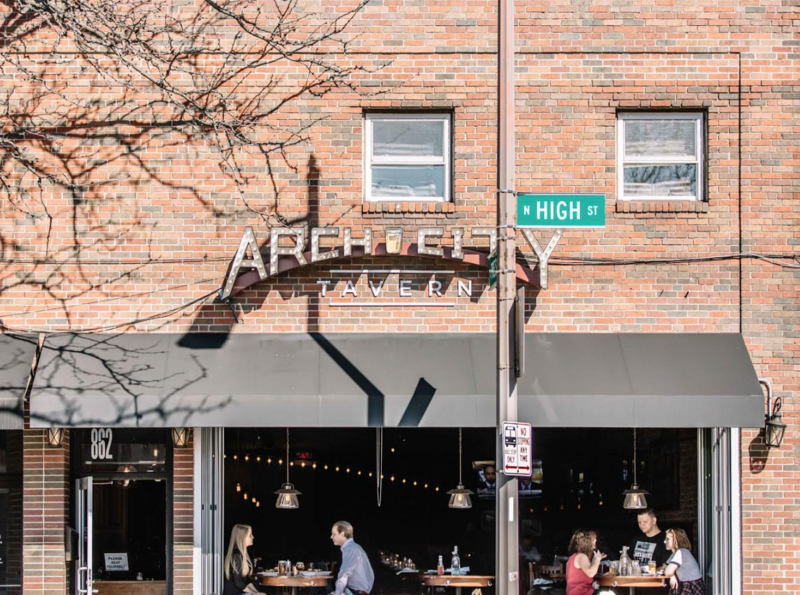 Our team at Arch City Tavern is excited to invite you and your friends to celebrate our 6 years in The Short North! It has been a joy serving the wonderful people of Columbus and The Short North and we look forward seeing what the next 6 years bring. We will be serving HALF OFF food and draft beers all night. Be sure to RSVP on Facebook to let us know you’re coming! So grab your party hat, bring your friends, and mark your calendars to our celebration bash with friends from Arch City Tavern. We’ll be having a live DJ spinning music and celebrating all night long! Join us for a night a fun Monday, March 4th. Enjoy half-off food & craft beer while vibin’ with a DJ spinning the best hits! No Replies to "Join Us At Arch City Tavern As We Celebrate Our 6 Year Anniversary!"